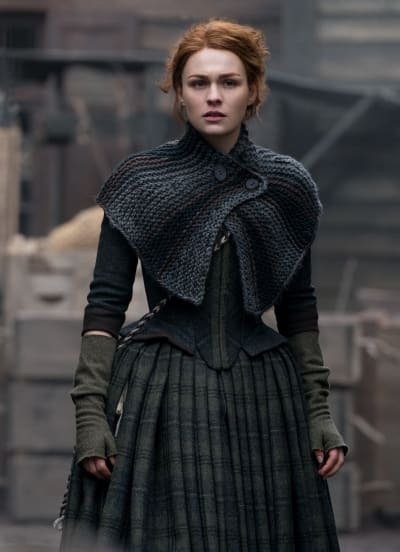 The lesson Brianna lost by not getting raised by her birth parents was an essential one, and never was her lack of education in this area more important than on Outlander Season 4 Episode 9. Brianna is spoiled, and because of that, she acts like a brat too much of the time. It's difficult to like her, as many of you have noted. While it takes some time to warm up to her, it doesn't excuse her less-than-stellar behavior much of the time. She had a horrible time with Roger and then Stephen Bonnet on the night she lost her virginity. There is no getting around that. What she didn't need to do was to shut out Lizzy, the only person she had left in her corner, on that very bad day. The girl is sweet as pie and cares very much for Brianna. The way Brianna treats Lizzy is rather awful. 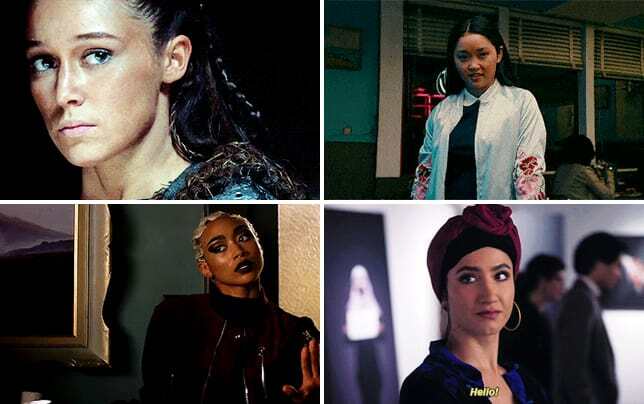 She snaps at her and doesn't trust her that much. It was very kind of Lizzy to offer her hand and almost snuggle up to Brianna when she knew she was in a lot of pain. And I don't expect someone who was just violated in the way Brianna was to give of themselves any more than they are comfortable with at that moment. But the very least she could have done was to ensure Lizzy didn't hold onto the idea that it was Roger who subjected her to such torture. By not doing that, Brianna almost got Roger killed. Poor Roger, who was himself also at the hands of the vile Stephen Bonnet. 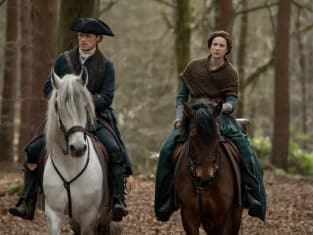 Roger didn't just go to save his limbs, but likely to keep Brianna from coming into contact with Bonnet. Little did he know he was already too late. Roger never intended to leave Brianna, and I'm surprised she didn't get the destination for the Glorianna. It must have been heading back to Scotland after another stop in Philadelphia. It was funny, though, that even Claire found it hard to believe Roger would leave after one argument. Now he's probably wishing he never came back! Oh, the irony that Roger accepted his payment for his time on the ship in the Fraser's stolen stones! And you know he had (or will have) them made into a ring for Brianna. The real bummer of everything was that Jamie was so overcome with joy at meeting his daughter, he never even realized she wasn't wholly there with him. Bree (a disturbance for sure), didn't hold back needling her father for being in her life at that moment, sharing that she felt she was betraying Frank. 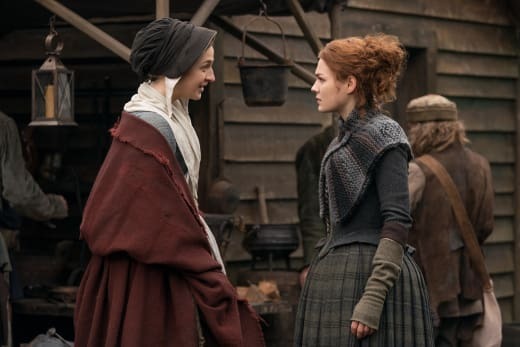 Even her stories to her mother weren't 100% correct, as Bree had to hold back what happened in her attempt to protect Jamie. Jamie has always come second when it comes to his children, and even when Brianna is right there, back in time with her father for the first time in her life, there is so much more clogging her headspace that she couldn't fully appreciate what had been set before her. It's not something Jamie deserved, as he always puts his family first, but once again, he was an afterthought when their meeting should have been the most special moment in their lives up to that point. When you hear him talk about her and know he'd be content to watch her for hours on end and never tire of it, it's even more unfair. The way everything came together at the end was impossible. 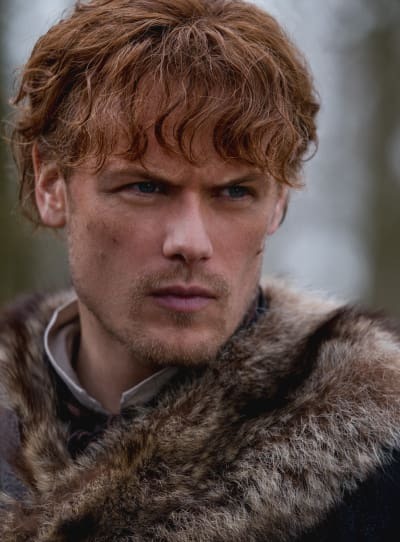 Surely there must have been some time between each event, but it felt like as soon as Claire told Jamie his daughter had gotten raped, Roger was riding on the property and Lizzy saw him, while Claire was finding her wedding ring and confronting Brianna about Bonnet! Poor Roger never knew what hit him. Someday, maybe they'll all sit around the dinner table and laugh about it, but with this family, I'm not so sure they'll be able to laugh about anything. They have one tragedy after another befall them when some of them could be easily stopped by little things like telling the whole story. They're all adults now. They don't need to always look out for each other's feelings. The lies hurt and destroy more than the truth would have in the first place. Everything that has gone horribly wrong during this hour could have been undone by better communication. What did you think? 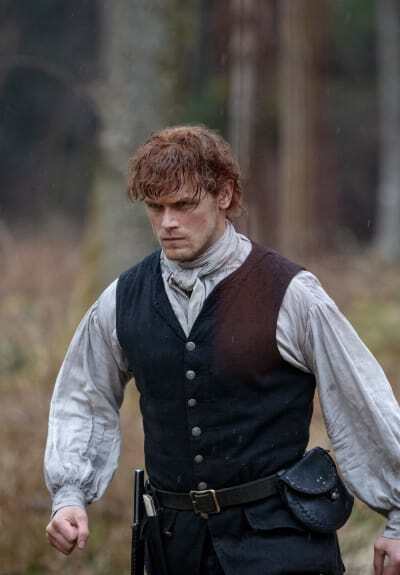 Did Jamie deserve better for his first meeting with his daughter? Should Brianna have been more clear with Lizzy? Will they tell Jamie the truth about Bonnet now that he's almost killed Roger? 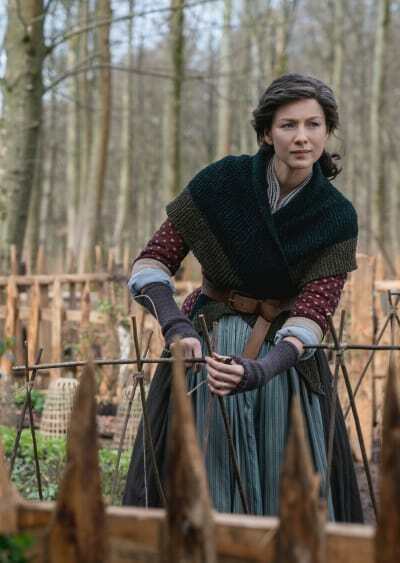 Don't forget you can watch Outlander online if you missed this one. Brianna needs some work so she can work on her happiness!